Watch the short video below about the way we create collaborative films for the Let it Ripple series. We call it “Cloud Filmmaking,” and we invite you all to participate! 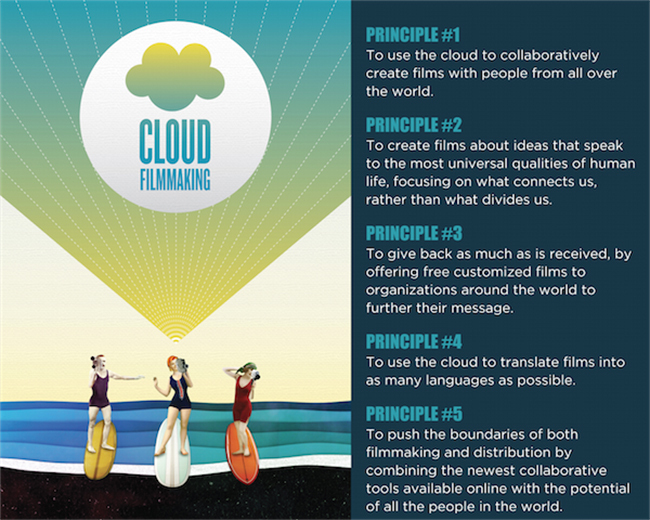 You can also read The Cloud Filmmaking Manifesto below and watch Director Tiffany Shlain present it live at Tribeca Film Festival’s Interactive Day.